Small deciduous shrub with angular branches that are downy when young. Ovate, toothed leaves. 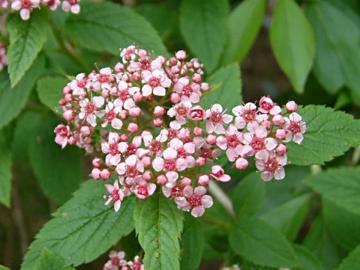 Terminal corymbs of attractive small, bright rose-pink flowers in late spring or early summer. Moist, well drained, humus-rich soil in a shady position. Suitable for cool woodland conditions.